The wonderful smell of soups will fill the senses as you walk downtown Palisade. 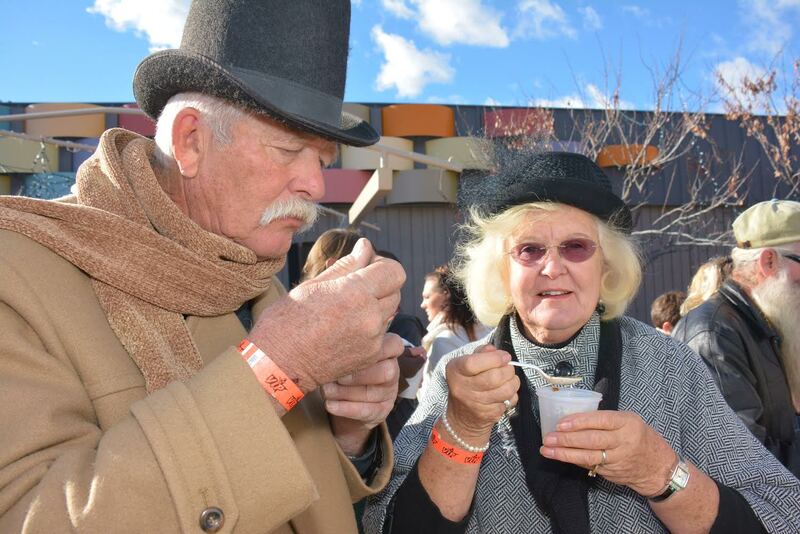 Over 350 people came to downtown Palisade last December to taste and judge soups from some of the Grand Valley’s top restaurants. This year the Soup Challenge again takes place on Saturday, December 3rd from 1 p.m. to 3 p.m. Sponsor, Tara Morrison, of Palisade Family Health & Chiropractic, says “10 chefs will put their culinary creativity to the test in this soup challenge, and it’s sure to be another year of head-to-head competing soups.” Karl Stephens, Executive Chef at Community Hospital is ready to defend his 2015 title. The price for unlimited samples is $4 per person. Winners will be chosen by a panel of judges as well as people’s choice. Announcement of winners will take place in the Olde Town Marketplace around 3:30 p.m. where they will be awarded inscribed pottery bowls created by Palisade artisan, Tim Wedel of Wedel Pottery. This is a great contest that brings the community together! Juliann Adams, Executive Director of Palisade Chamber of Commerce says, “It promotes the restaurants and chefs who participate and brings attention to Olde Fashioned Christmas”. This year’s challengers include, 357 Bar & Grill, 626 on Rood, Agavero’s, Bocas Venezuelan Grill, Community Hospital, No Coast Sushi, Palisade Brewing Company, Palisade Café 11.0, Peach Tree Eatery and Wine Country Inn. As for the soups being entered…you will have to attend the event to see what our soup-making Challengers have in store for “voters” this year. 2015 Winner, Karl Stephens of Community Hospital is defending his title with a special recipe he and his team have been working on for months. Be sure to check it out.